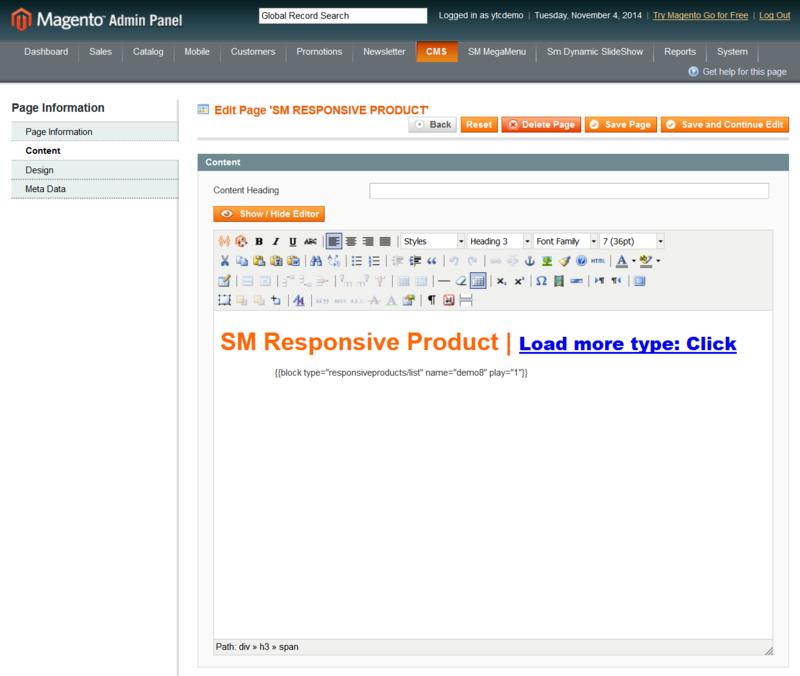 This guide will help you install SM Responsive Products step by step. When you buy the module the first time, you will have the latest version. 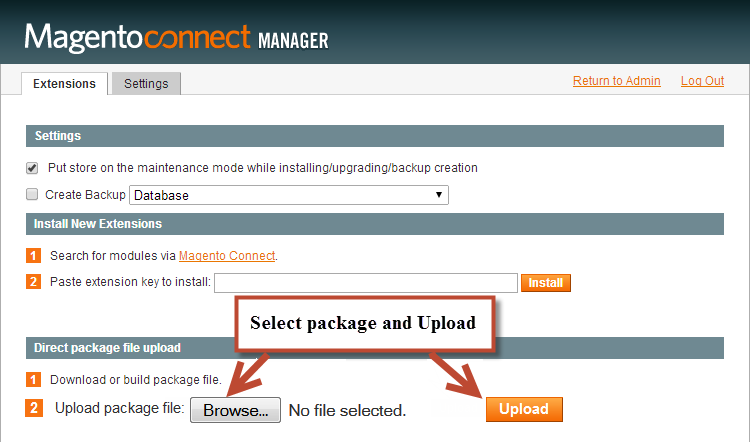 In the Administrator Page, navigate to System -> Configuration and find SM Responsive Products (in the left of column) to configure. 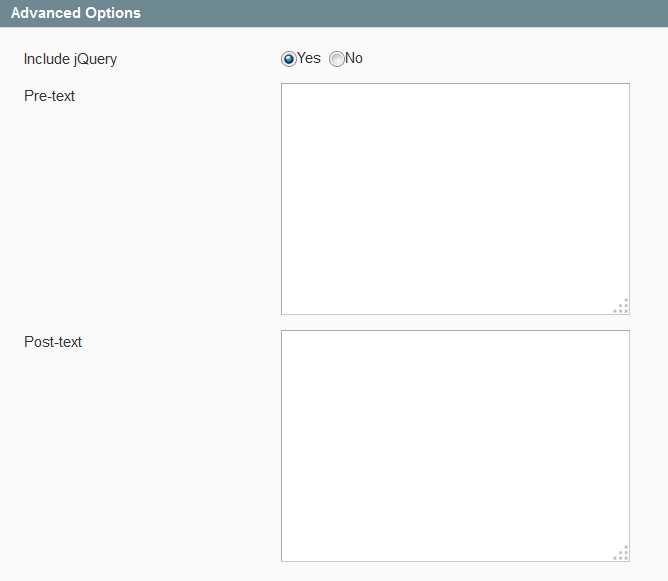 Title of Module – Fill in the Title of Module. 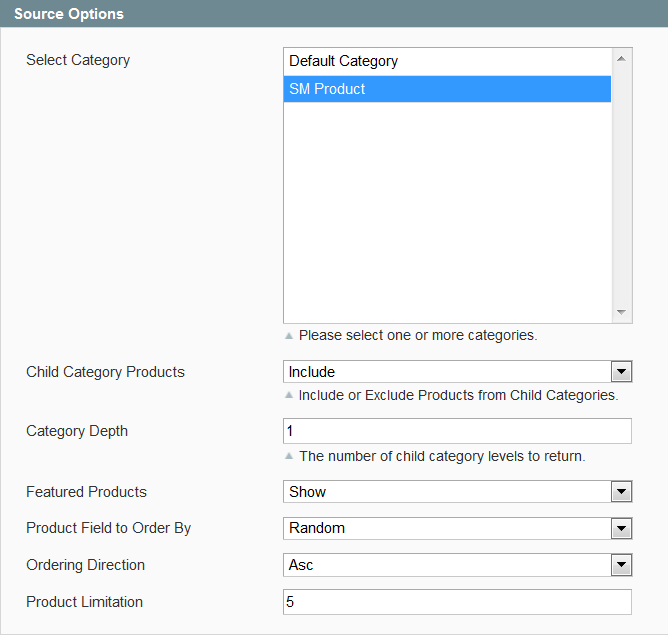 Select Category – Allow to select one or more categories. 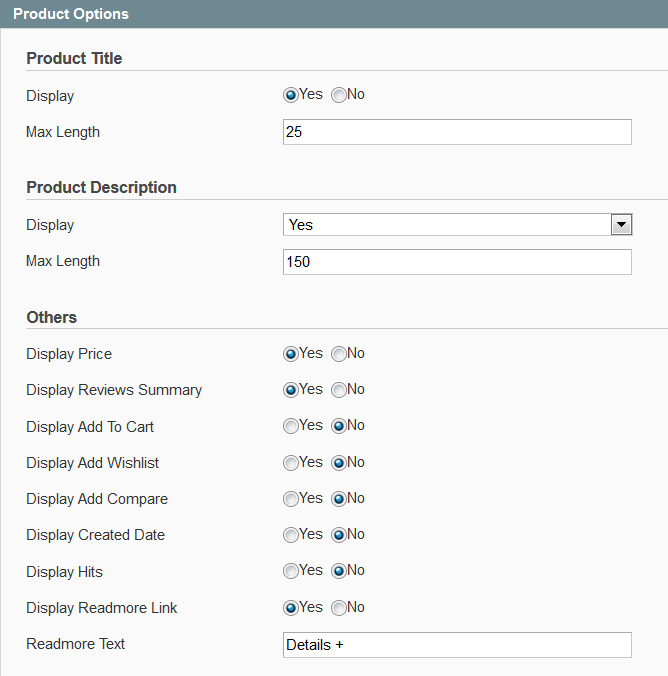 Display – Allow to display title of product OR not. Max Length – The limited number of characters on product title. 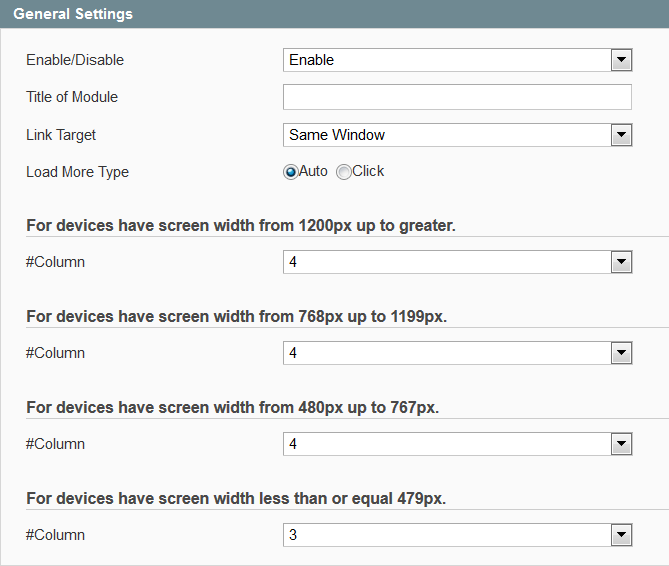 Display – Allow to display description of product OR not. 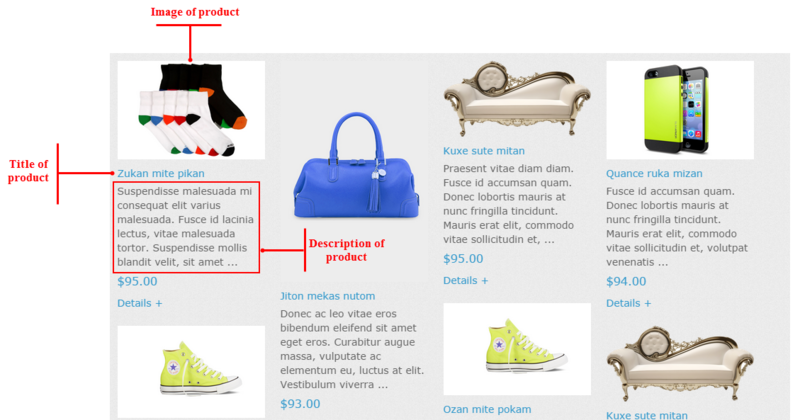 Max Length – The limited number of characters on product description. 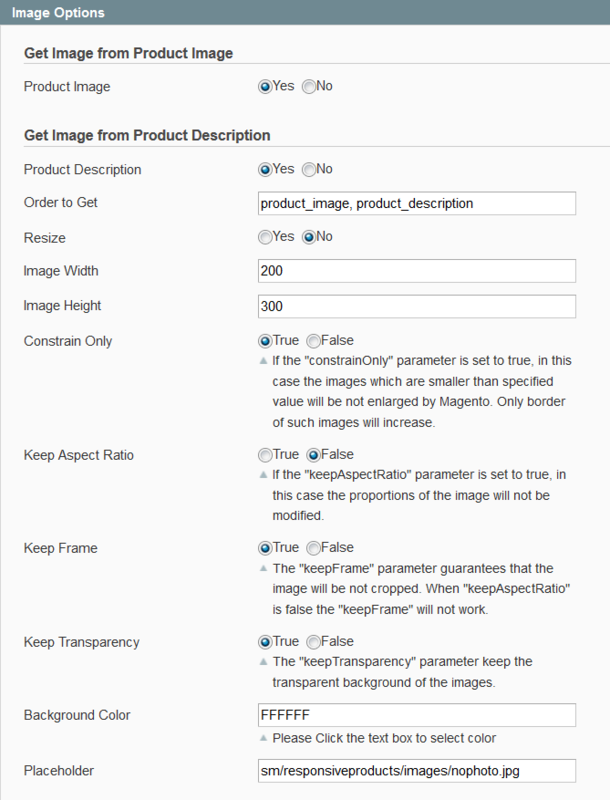 Order to Get – Allow to order to get image with options such as “product_image, product_description”. 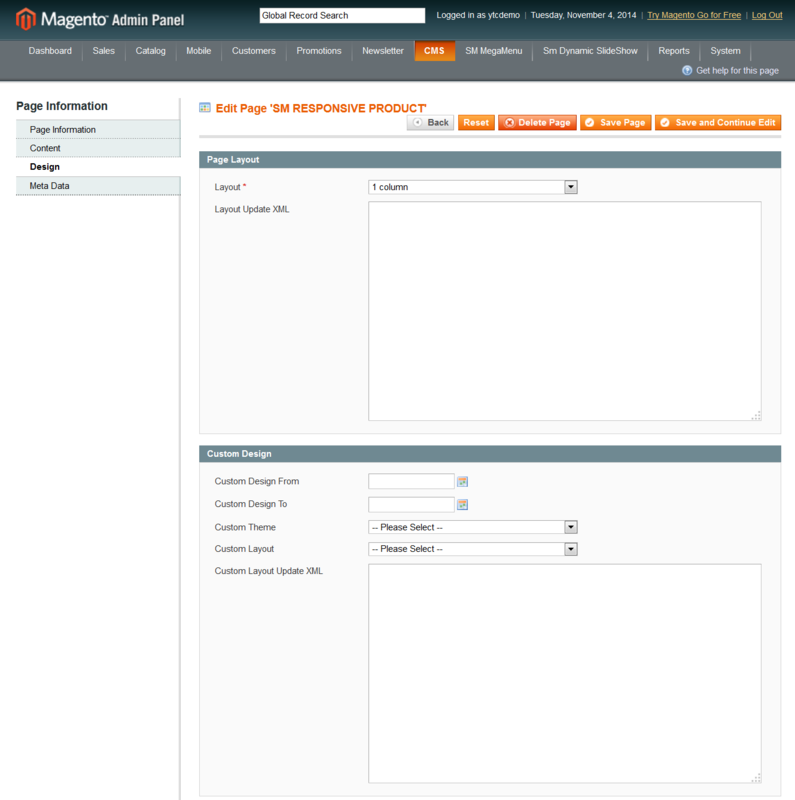 Create a new page in Page Management section.